Published on February 17, 2010 in General T&T, Politics and UNC. 11 Comments Tags: Basdeo Panday, Politics, Ricky Harnanan. Attorney Ricky Harnanan has been mandated to pinpoint the requirements that Basdeo Panday would need to form another political party, and maintain his position as Leader of the Opposition, according to a well-placed informant. Published on February 12, 2010 in Crime in T&T, Culture, Media, PNM and Politics. 14 Comments Tags: Crime in T&T, Laventille, Patrick Manning, Politics, T&T Govt. Having had the absolute and unwavering support of the people of Laventille for the 54 years of its existence as a political party, it is highly contemptuous of the PNM’s political leader, Prime Minister Patrick Manning, to go into that part of the country, which is riddled with crime and sunk in underdevelopment, to name in an ad hoc manner a committee of ministers and parliamentary representatives to discern the problems of the area. Where have Mr Manning and the PNM Government been all this time?Specifically, as it relates to the stewardship of Mr Manning’s administration, between 2002 and 2007, Prime Minister Manning and his Government announced a plan for the rehabilitation of east Port-of-Spain, inclusive of the “behind the bridge” areas, Laventille and Sea Lots. Where has that plan got to beyond talk and the establishment of a company, presumably to effect the job? Published on February 11, 2010 in Entertainment, Politics and UNC. Closed Tags: Jack Warner, Kamla Persad-Bissessar, Politics, UNC. Published on February 11, 2010 in Finance, General T&T, PNM and Politics. 4 Comments Tags: Finance, Patrick Manning, Politics, T&T Govt. PRIME Minister Patrick Manning, at a PNM meeting in Laventille on Tuesday, re-ignited the debate as to how well, or if you like, how badly the Government has been spending public monies. He raised the prospect of the Government having to borrow to fund its expenditure and thereby possibly incur strange looks from the International Monetary Fund (IMF). Manning said the Government had last year suffered a $6.9 billion revenue shortfall, while this year’s shortfall is about $7.8 billion. Published on February 7, 2010 in General T&T, Parliament, Politics and UNC. 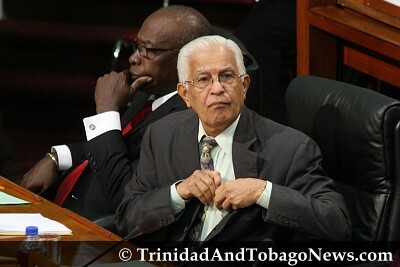 8 Comments Tags: Basdeo Panday, Dr. Tim Gopeesingh, Jack Warner, Kamla Persad-Bissessar, Patrick Manning, Politics, Raffique Shah, Subhas Panday, T&T Govt, UNC. Most readers would interpret my headline as suggesting that UNC “founding father”, Basdeo Panday, is enjoying sweet chutney/soca music in keeping with the spirit of the Carnival season. For them, “Karma” is a music band whose lead singer, Ravi B, won the recent Chutney-Soca Monarch title. Ironically, Ravi’s winning song was titled “Ah Drinker”. Ravi was not referring to orange juice or WASA’s now-scarce potable water, but to the wanton abuse of alcohol.